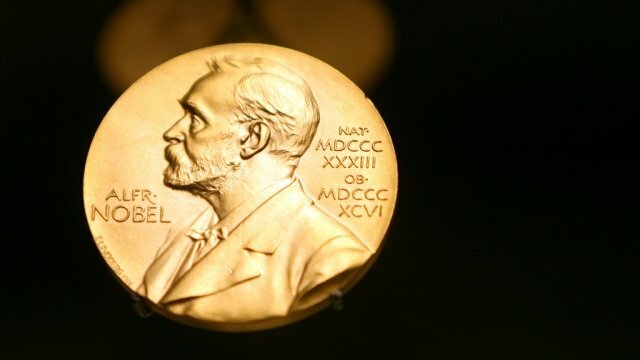 Home Tags Posts tagged with "nobel prize in chemistry 2014"
A trio of researchers has been awarded the 2014 Nobel Prize in Chemistry for improving the resolution of microscopes. Eric Betzig, Stefan Hell and William Moerner used fluorescence to extend the limits of the light microscope. The winners will share prize money of 8 million kronor ($1.12 million). They were named at a press conference in Sweden, and join a prestigious list of 105 other Chemistry laureates recognized since 1901. The Nobel Committee said the researchers had won the award for “the development of super-resolved fluorescence microscopy”. Committee chair Prof. Sven Lidin, a materials chemist from Lunds University, said “the work of the laureates has made it possible to study molecular processes in real time”. Optical microscopes had previously been held back by a presumed limitation: that it would never obtain a better resolution than half the wavelength of light. The researchers used fluorescent molecules to circumvent this limitation, allowing scientists to see things at much higher levels of resolution. This has even allowed scientists to visualise the pathways of individual molecules inside living cells.